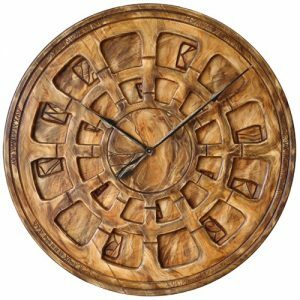 The “Classic Tudor” is a glamorous roman numeral clock that is made from two large panels of sustainably sourced pine wood. 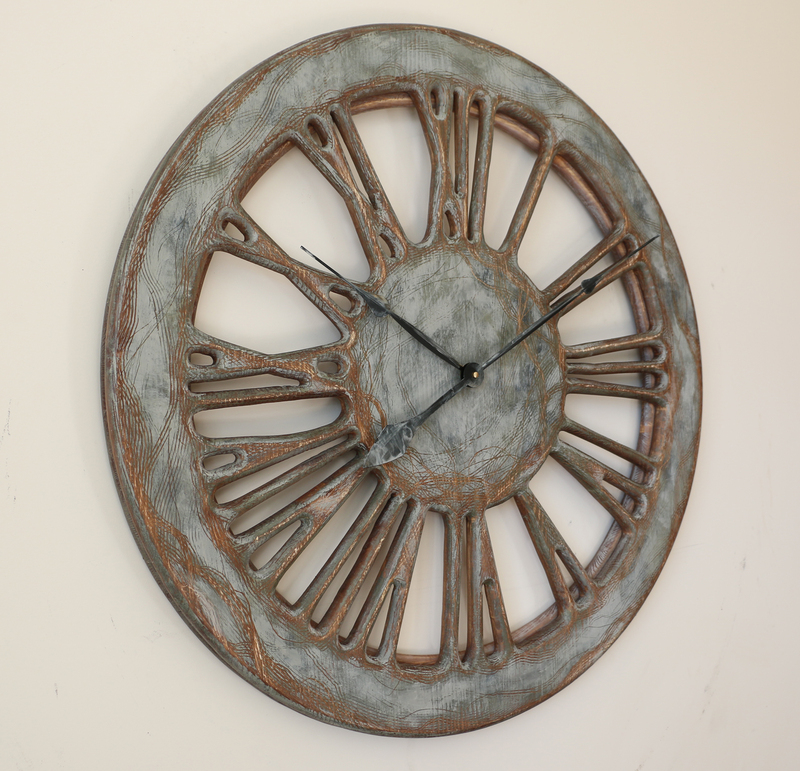 The clock face is displaying carefully crafted Roman Numerals on a hand painted “silver” background. With a total diameter of 75-120 cm and its subtle elegance, it will infuse your interiors with distinctive personality. 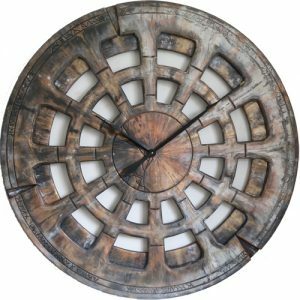 This classic round work of art is a large tudor roman numeral clock. We made it to be a centrepiece in your living room, posh restaurant or a penthouse apartment. 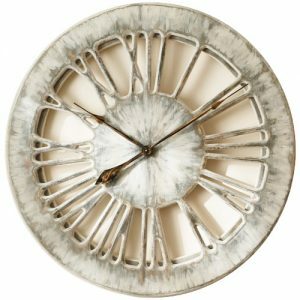 Just look at those pictures and you will have to agree that this amazing timepiece with its subtle elegance and most charming tudor face would stand out in the most stylish interiors. 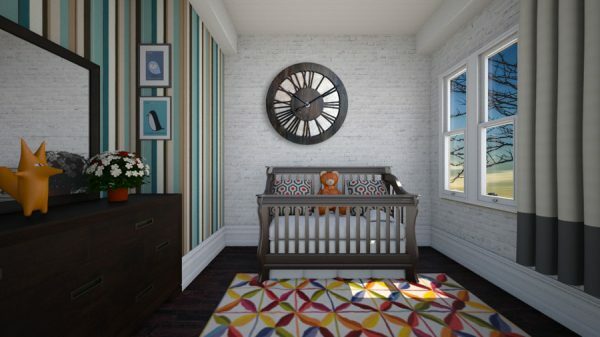 Are you looking for something totally different than the market can offer? Perhaps instead of having large mirror or painting like everyone else you could owe a piece of art that will differentiate your place from the rest of the world? The “Classic Tudor” is a glamorous & expensive timepiece that will provide the perfect & lasting “wow” effect on anyone coming across it. We made this huge and impressive product from two large panels of pine wood. 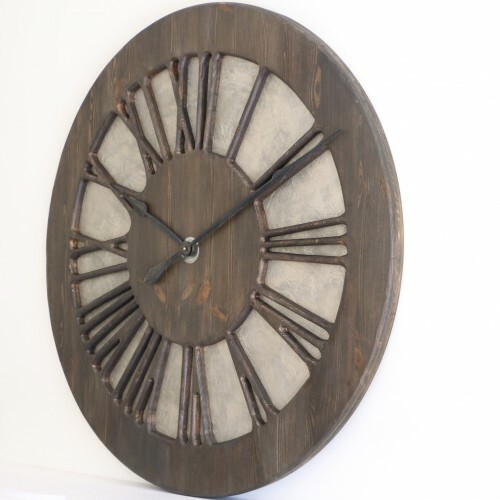 It displays beautifully hand carved numerals on the hand painted “silver” background. The clock mechanism is the most powerful and silent Quartz sweep movement. It only needs a single C Cell battery. 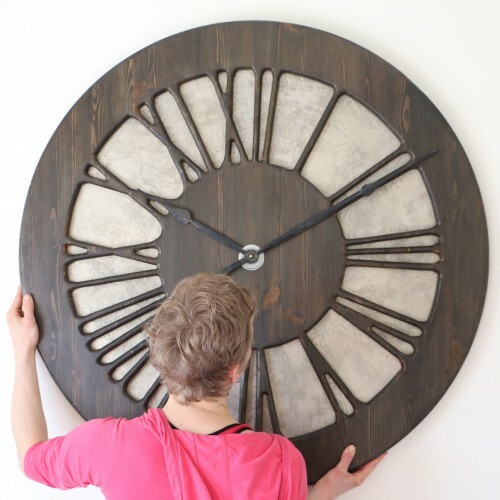 We deliver the clock with both hands detached to prevent any transport damage. You will receive full instructions how to attach the clock hands and set the time. You can also check this Youtube video for more information. 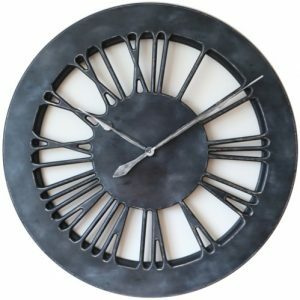 The Peak Art Clocks are the most unique pieces of art that will come to your mind when you start redecorating your house. 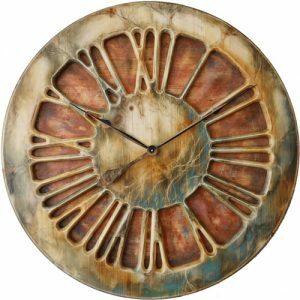 Our clocks have distinct, hand painted finish, traditional round shape and are admired by thousands of people in Peak Art Facebook Community. You can mount them in any room at your house. Whichever place you chose try to keep them away from direct heat or moisture sources. 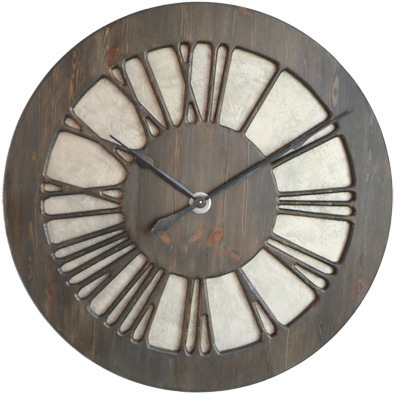 Another perfect place for Peak Art clocks is your Office, Hotel reception or stylish restaurant. These wonderful artistic and most charismatic timepieces will never fail to impress anyone coming across them. Don’t follow the old trends and challenge accepted thinking. 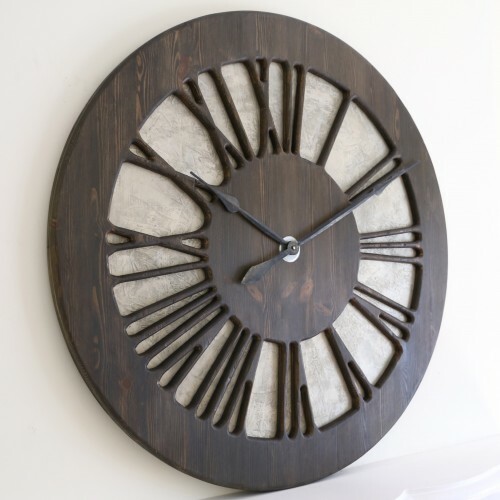 Help us make the wooden wall clocks from Peak Art the new fashion. Only at Peak Art you can find the true uniqueness in this niche. You can stand out from the crowd by owning something so special.